The “hero” as a concept or storytelling device is, and always has been, fluid. Some of us prefer the pure altruist—the Superman who does right simply because he knows what right is. Others need their heroes to be flawed or tragic, like Hamlet—angling for the light even as their blemishes define them. Others hanker for antiheroes, preferring Taxi Driver’s Travis Bickle, a psychotic knight in rusty armor. 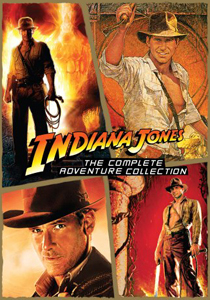 Indiana Jones is enigmatic in his heroism; vacillating between all heroic traits, occasionally embodying all at once. His position as an archaeologist leads him to scour the globe in the interest of saving and protecting precious antiquities. Yet isn’t the quest for history-defining curios inherently a quest of self-triumph? Dr. Jones, over the course of his story, is at once selfless and selfish, motivated one minute by his moral compass, and the next by the fame and glory latent in uncovering history’s secrets.